The proportion of Ions is highest around moving water (storms, oceans, rivers, waterfalls) – that also explains why we feel so energized and refreshed at the ocean. The worst are found in windowless rooms and closed, moving vehicles. Higher concentrations of ions are essential for a positive mood, let us work more efficiently and feel more revitalized. Concentrations below 100 Ions/cm3 can already lead to headaches, deficiencies in concentration and fatigue, leading to the Sick- Building Syndrome. In nature ions are found in abundance. This is a good part of the reason why you usually feel so great in these places and find it difficult to be tired or depressed. WHAT IF YOU COULD BRING THIS EFFECT BACK INTO YOUR SPACE? Prior to a thunderstorm there is a very high concentration of contaminants in the air, such as bacteria, allergens and VOC’s. 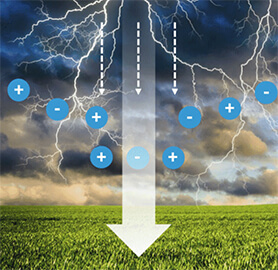 A thunderstorm releases electrical discharges and, by doing that, emits high concentrations of ions. Those ions play a major role to lower the amount of these pollutants and are the key player for providing us with fresh and clean air in nature. A large amount of ions are generated by an electrical discharge phenomenon. Bioclimatic cleans indoor air the way nature intended. This principle of air purification is comparable to this natural phenomenon. Inside our devices the air is treated as if under the influence of a purifying thunderstorm. Charged ions - activated oxygen – bind the contaminants in the space where you breathe – just as nature does. Activated oxygen initiates an oxidation process, which chemically alters the odor molecules and germs. New harmless substances are formed. Activated oxygen damages the cell structure of mold spores as well as bacteria, so that they become inactive. The activated air acts as a natural cleaning agent in the room and restores and re-balances indoor air in closed environments. 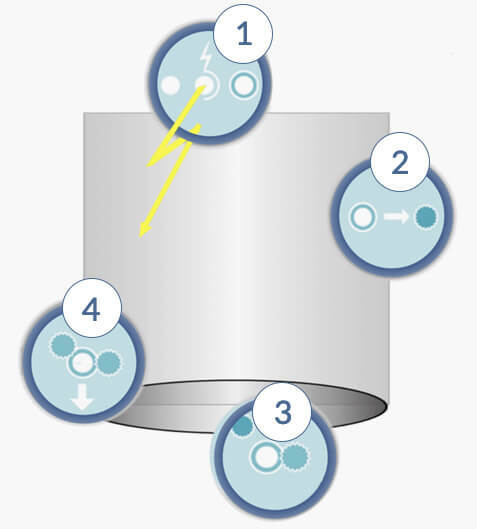 Along the ionization tube, oxygen from the air is charged to form ions. The ions are attracted to airborne particles like dust, smoke, VOC’s, allergens and other air pollutants. 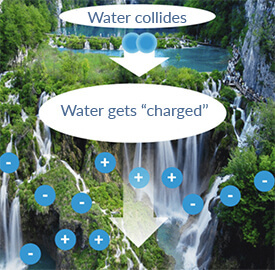 The ions latch onto and neutralize any contaminants they come to contact with. NO CHEMICALS. NO FILTERS.NO MAGIC. 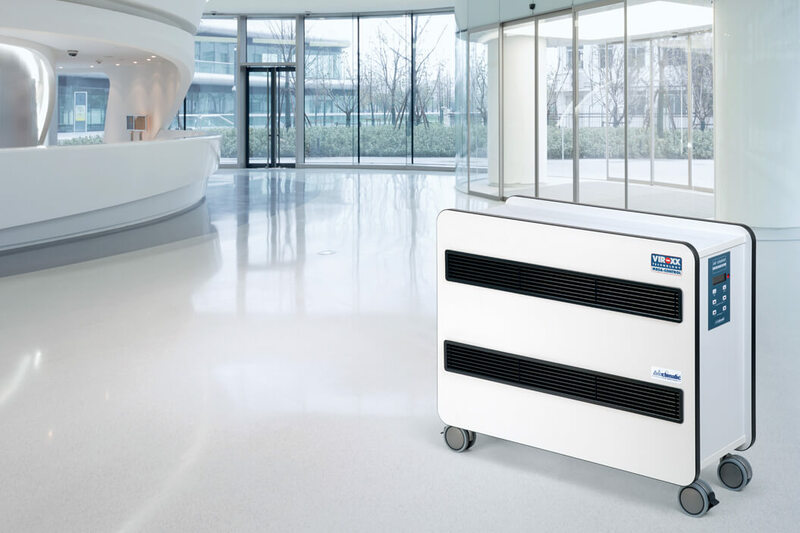 Fresh, clean and healthy air through bi-polar ionisation. New to Bioclimatic and want to find out more about our technology? Talk to our experts! Existing Customer and have questions for us? Contact Customer Service Bioclimatic Partner or Sales Representative? Click here.